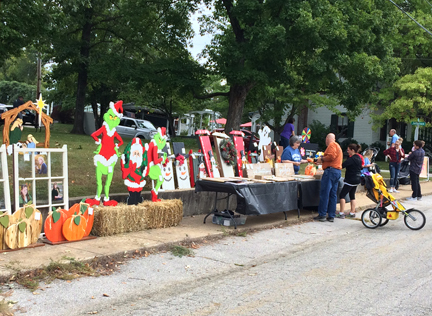 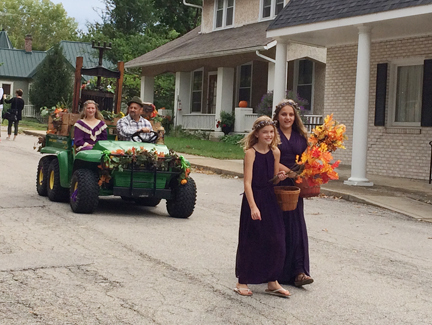 Here are photos from the Augusta Harvest Festival parade, plus the winners of the ever-popular pie contest. 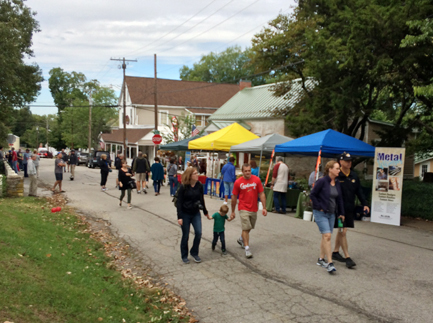 Congratulations to everyone who worked so hard to put on this 3-day event. 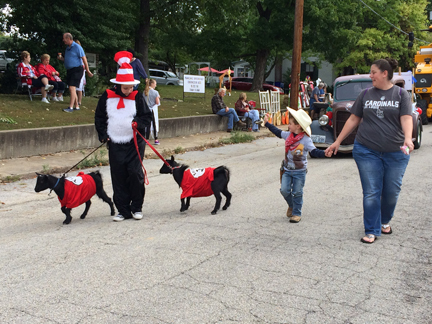 Bravo on another job well done! 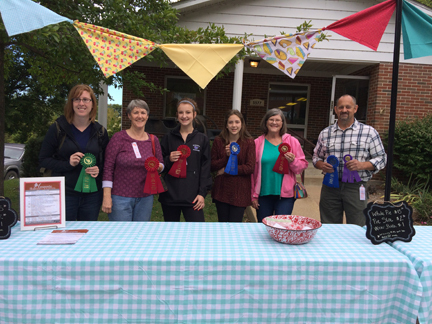 Kate Partridge (1st Junior), Debby Rasnik (2nd Cream) & Emil Walch-1st Cream and Best Overall. 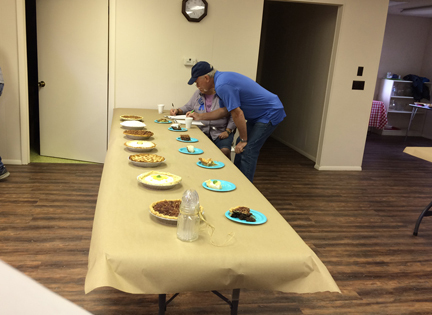 Pie Judging - there were three categories: Fruit, Cream and Junior Baker. 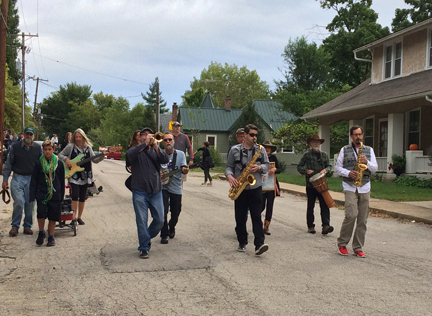 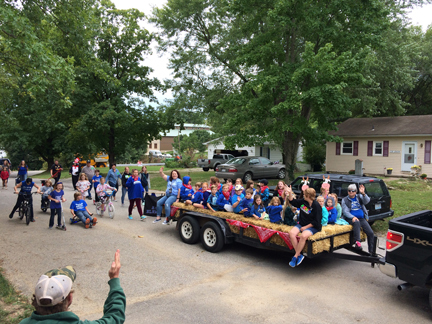 Augusta Elementary Students in the Harvest Parade. 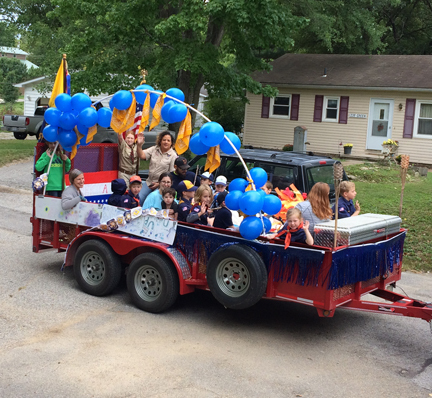 Augusta-Marthasville Cub Scout Pack 359. 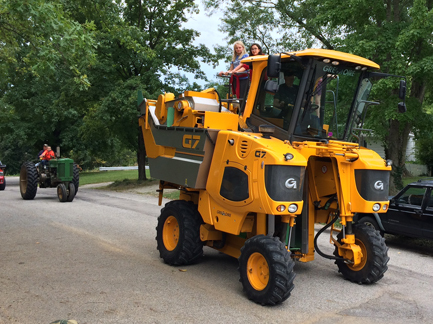 A Grape Harvester, driven by Paul Hopen, owned by Augusta Wine Company. 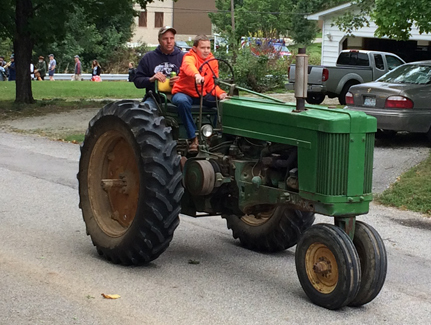 The Gerdimans on their antique John Deere. 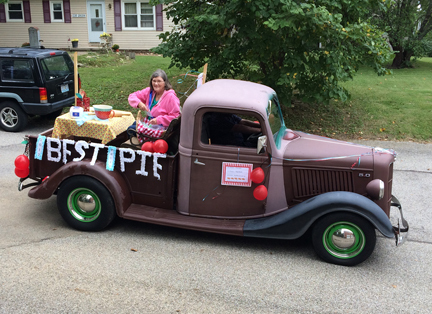 Debby Rasnik - 2017 Fruit Pie Contest Winner. 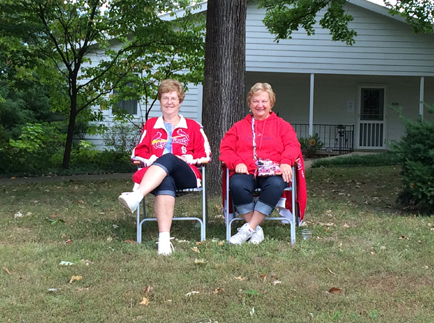 Mary Keiser and Wanda Howell - waiting to watch their grandchilden in the parade. 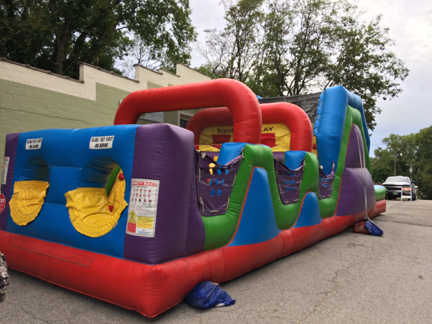 A huge bounce house sponsored by First Bank. 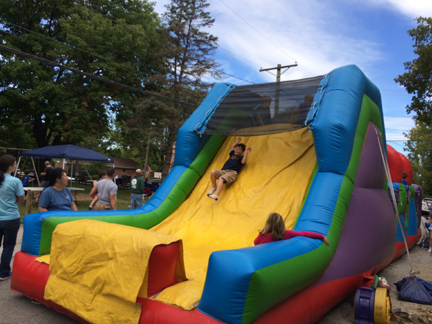 Youngsters enjoying the bounce house.